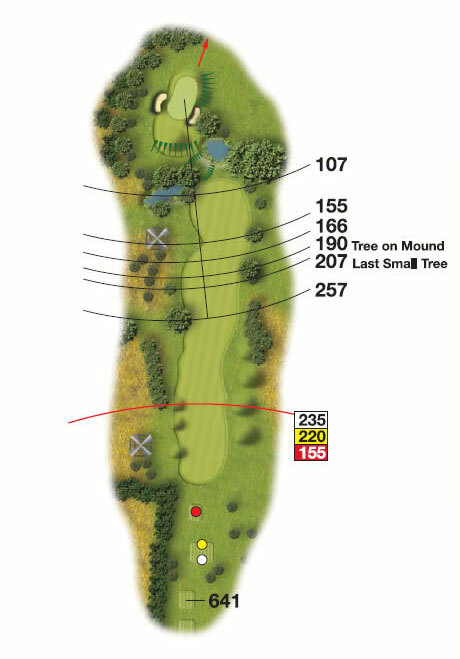 This long par 5 is known for being one of the longest par 5’s around. The 600 yard hole gives the player a sense of freedom for the tee shot, however the fairway is guarded by rough and tree areas to the right and left for those who stray away from the fairway. Follow the marker posts to plot your way to the green and you will yourself in an elevated position hitting down to the green which is protected by a large tree and two greenside bunkers. Accuracy is key here.